The City of Detroit saw an opportunity to make business permitting and licensing a smoother and more efficient process for entrepreneurs. Mired in local and state forms and regulations, new business owners found the process of getting the right permits and licenses challenging to navigate. 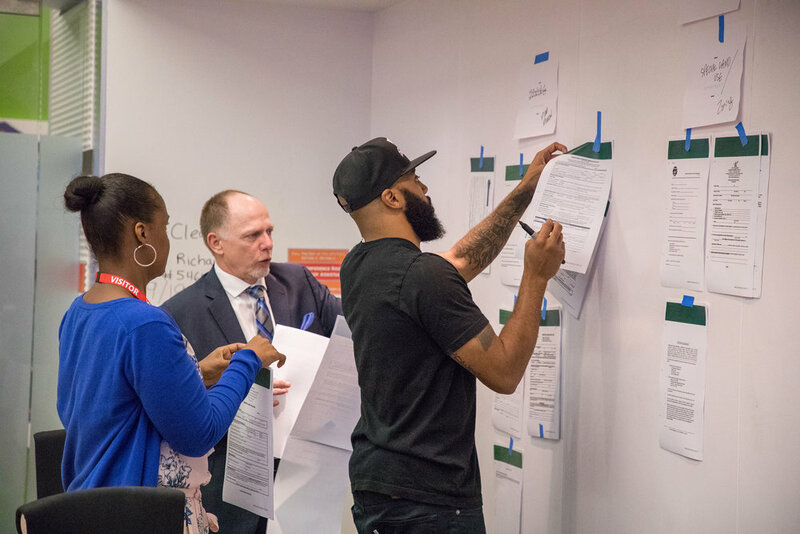 Beginning with a design thinking workshop, the City of Detroit worked with Cities Reimagined to rethink the process and create a set of tools designed just for Detroiters. After many interviews and observation sessions with Detroit entrepreneurs, the team quickly realized that the business licensing process was complicated and took many years of experience to navigate quickly. Most entrepreneurs spent between 6-12 months working on obtaining permits and licenses and needed to complete over 70 forms to submit a completed application. 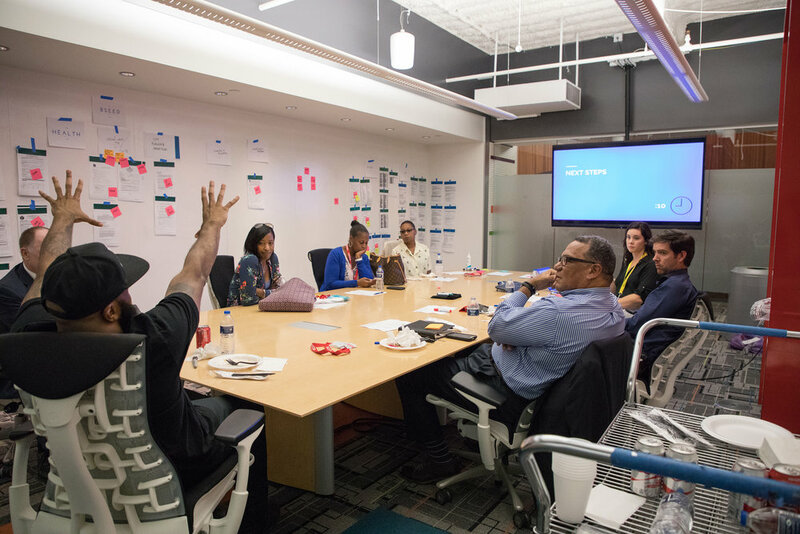 Cities Reimagined led the Quicken Loans Community Fund and the City of Detroit through the process of creating a human centered business licensing and permitting experience. The team established four main goals at the beginning of the project: eliminate duplication, design user friendly forms, create an engaging and fun experience in City Hall, and take the process online in a Turbo Tax style wizard. Observe, listen to users, simulate their experience. Stakeholder roundtable, define the problem. Design Thinking Workshop and team brainstorming. A revised, rough and rapid prototype of a new process. Testing with entrepreneurs and partners in City Hall. Implement and bring the project to life. Cities Reimagined sketched out an implementation plan with measurable goals, timelines, and action plans to give the team the tools necessary to move the project forward. Day to day responsibilities for implementation were shared by members of the project team. At the conclusion of the project, the City of Detroit will roll out a newly designed business permitting center, user friendly forms that are color coded and matched with wayfinding in City Hall, an online permitting wizard, and print guides to help those new to the process navigate it with ease.